Chad Bruggeman focuses on patent prosecution and strategic client counseling on patent and other intellectual property matters. He is a registered patent attorney and a director in the intellectual property practice group. He is admitted to practice in the state of Kentucky and before the United States Patent and Trademark Office. Mr. Bruggeman assists clients in obtaining and maintaining patent portfolios in a variety of technologies including medical devices and instruments, construction equipment, sporting and outdoor equipment, heating devices, fluid filtration, and consumer appliances. Mr. Bruggeman also assists clients in patent litigation matters. 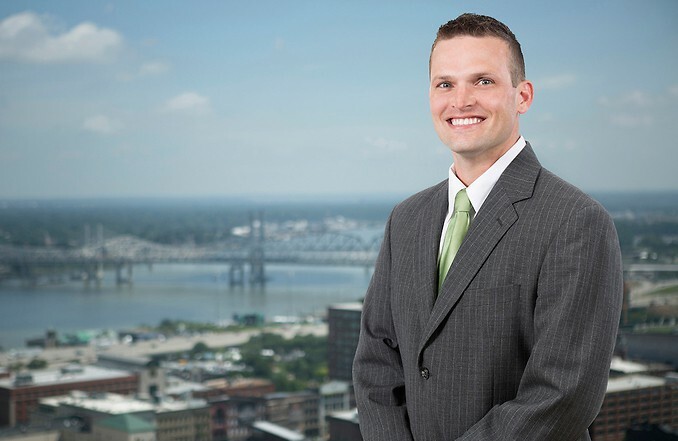 Each year since 2013, Mr. Bruggeman has been named a Rising Star in the area of Intellectual Property by Kentucky Super Lawyers. He was also the chair of the Intellectual Property Section of the Louisville Bar Association. He received his J.D. from Indiana University Robert H. McKinney School of Law in Indianapolis, Indiana. Prior to becoming a patent attorney, Mr. Bruggeman received his Bachelor of Science in Mechanical Engineering, with distinction, from Purdue University in West Lafayette, Indiana. While at Purdue, he completed the Engineering Cooperative Education Program at manufacturing and research facilities in the automotive industry.